I was looking for a cinnamon bread recipe. Found the Pioneer Woman recipe on Homemade Cinnamon bread. Took it and made some changes. So here is my take on this recipe. 1. Melt butter with milk. Heat until very warm, but don’t boil. Allow to cool until still warm to the touch, but not hot. 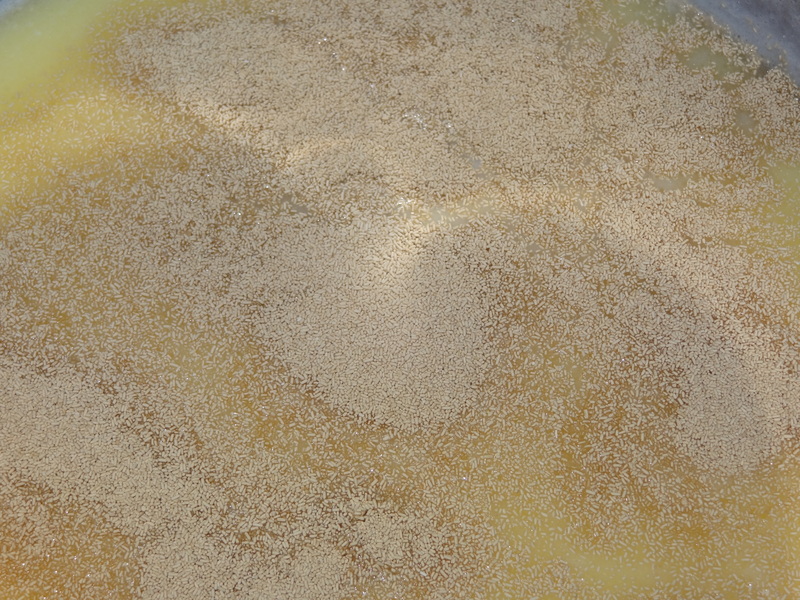 Sprinkle yeast over the top, stir gently, and allow to sit for 10 minutes. 3. In the bowl mix sugar and eggs with a whisk. Pour in milk/butter/yeast mixture and stir to combine. Add half the flour and mix with a wooden spoon. Continue adding the flour mixture and work with hands. 4. Work the dough for about 10 minutes. 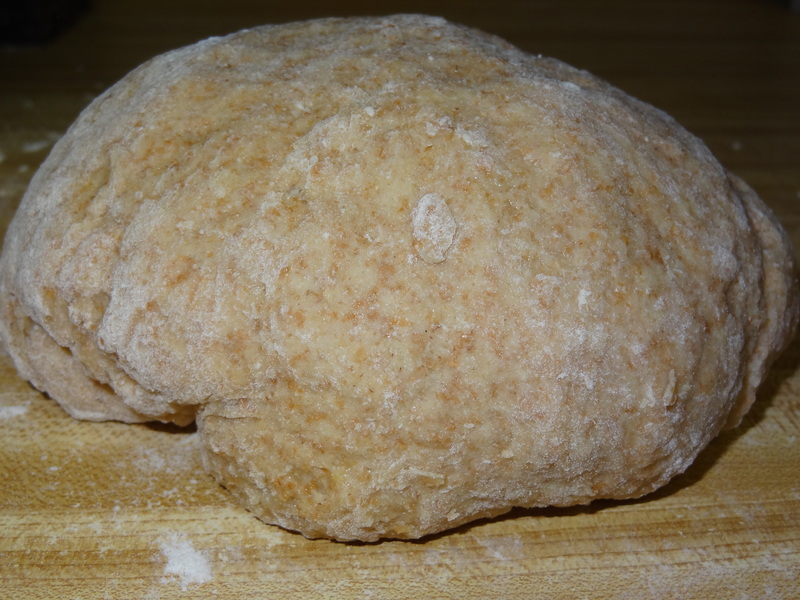 If dough is overly sticky, add some flour and work the dough. 5. Drizzle a little canola oil in a bowl, then toss the dough in the oil to coat. Cover bowl in plastic wrap and set it in a warm place for at least 2 hours. 6. Turn dough out onto the work surface. 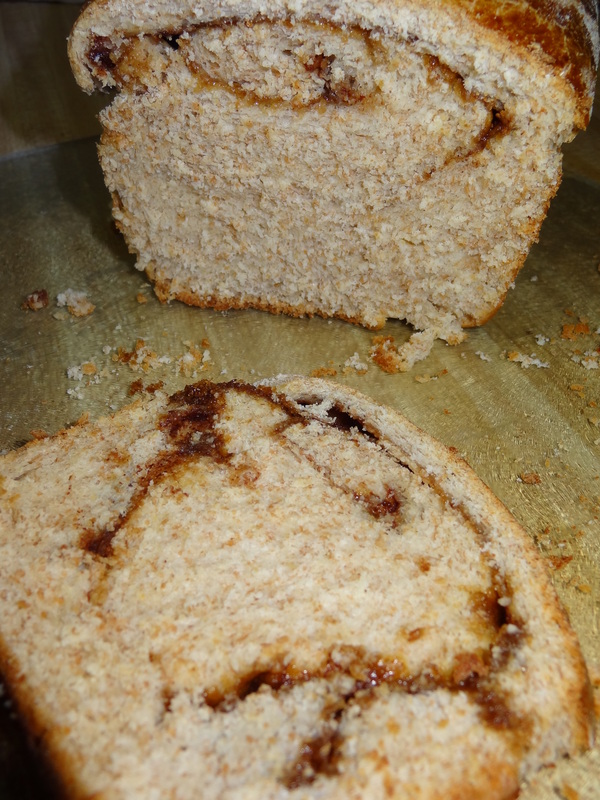 Roll into a neat rectangle no wider than the loaf pan you’re going to use, and about 18 to 24 inches long. Smear with 2 tablespoons melted butter. 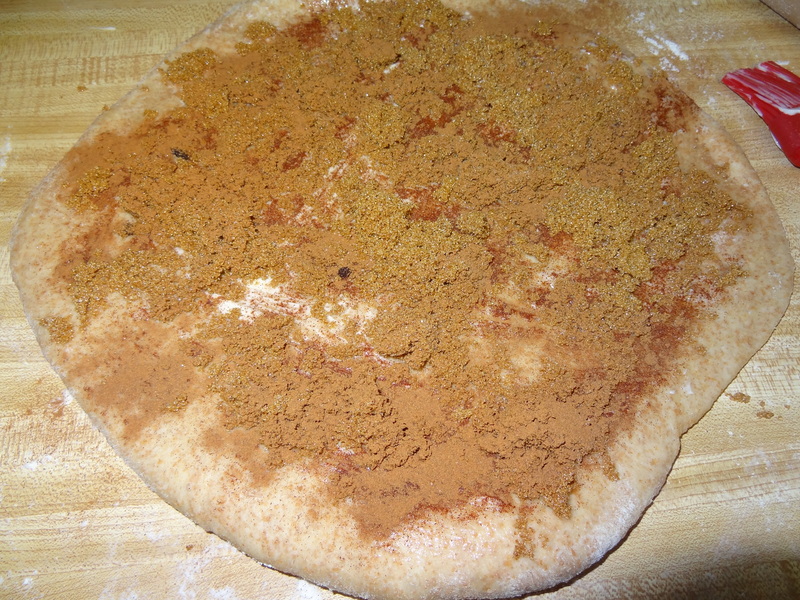 Mix brown sugar and cinnamon together, then sprinkle evenly over the butter-smeared dough. Starting at the far end, roll dough toward you, keeping it tight and contained. Pinch seam to seal. 7. 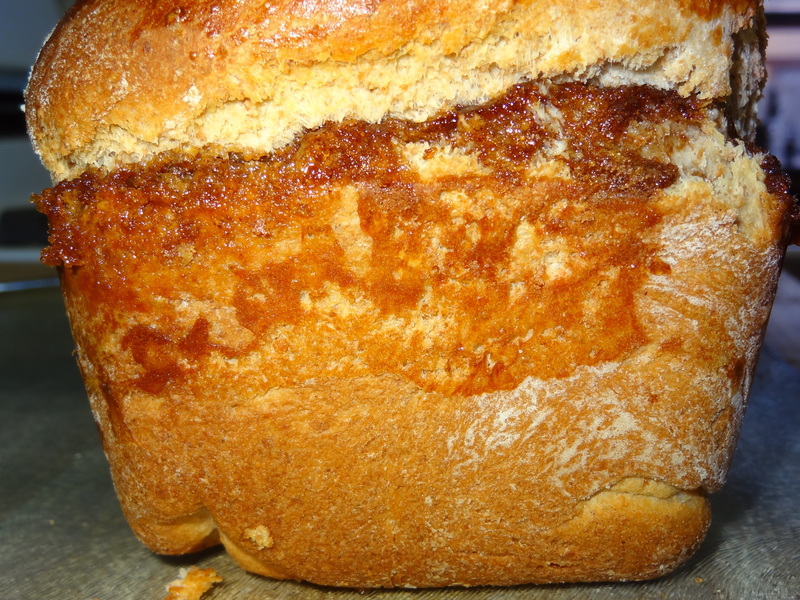 Smear loaf pan with softened butter. Place dough, seam down, in the pan. Cover with plastic wrap and allow to rise for 2 hours. 9. Mix a little egg with milk, and brush over the top. Bake for 30 minutes on a middle/lower rack in the oven or until done. 10. Remove from the pan and allow bread to cool. 11. 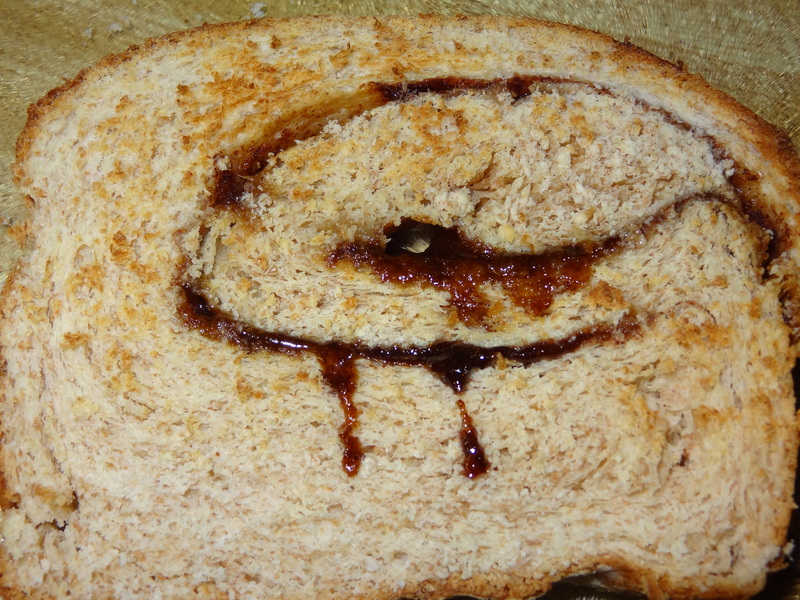 Slice and serve or make cinnamon toast.